Have a dream of generating more sales of a product you are affiliated with? This post is for you. After a successful series of affiliate sales experiments here on BforBloggers, Today I will be sharing with you a simple way, a simple tweak from my own experience as a blogger & affiliate marketer. You can exactly replicate this process and start doing it along with your own affiliate marketing strategy. It will change the way your current process of affiliate marketing works. A few weeks back, I changed the whole set of strategies and plans I was once using for promoting my primary affiliate products. I started paying more attention to selection and distribution rather than straight massive promotion. What’s that? I’ll explain in a minute. Interserver is a hosting company of I am an affiliate since 2017. The main motive of promoting this particular host is trust. I was once with them and that’s why I know they are a good choice. But what was happening inside my affiliate panel? As an affiliate marketer, My main motive is to pass my traffic, or more specifically the targeted traffic to any product I want. From then onwards, Its the merchant’s responsibility to convert that traffic into a lead. Afterward, If the customer wasn’t happy with the merchant and left the service, why my commissions were snatched from me! This leaves a great lesson to learn for both of us. Don’t worry, You are on the safe side because you are reading this post. Now here comes our main tactic to focus. My case shows you how you can waste the traffic you drive with so much of hard work. Why not keep them with you as long as they wish to and you want to? If your partner websites are poor at lead generation, do it yourself. Even if they are good at it do it all on your own. Convert your visitors into your subscribers before they leave your site and move to the product page you are promoting. That can be the easiest way to retain visitors and earn more money as an affiliate. A user arrives at your website through a search engine, referral site or social media. The user finds your content useful and clicks on one of your affiliate links, banners or image. It goes to the product and ends up purchasing something and you get a sale commission as an affiliate. Now the user suddenly cancels the subscription or returns the product and boom! your commissions go away! You still repeat the same, old, unhealthy process of affiliate marketing. You convert the visitor in your subscriber by placing opt-in forms or through lead generation plugins & tools. You send them conversion optimized emails via autoresponders and the user ends up purchasing. Even if the user cancels or returns the product, you still have many more chances to sell an earn. The visitor can now be converted repeatedly, on a recurring basis. 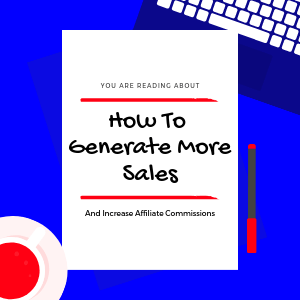 That’s the smart and simple strategic way you can use email marketing and affiliate marketing combined to drive more sales and earn more money. This another, very very simple way and this particular way of getting more sales is one I recommend to you if you are just starting out. In more simpler format, this means sneaking on to your competitors and inluencers and analyzing what’s working for them to make more sales. This means what’s working for most of your established competitors is trending and is considered as a trusted resource in your niche. Once you find a product suitable to promote on your website, signup as an affiliate and start promoting it with smart affiliate marketing strategies. When you do this kind of promotion make sure the product you choose is the one you can stick with. Never start the promotion of multiple products in the same category at once. 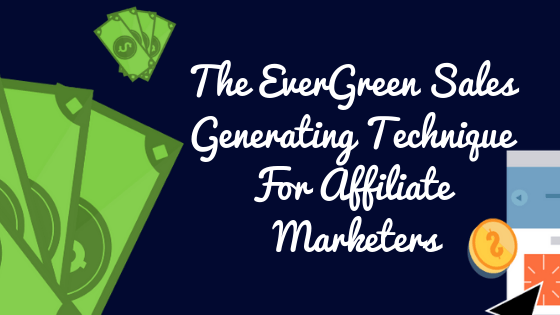 If you are loyal to your affiliate product, commissions will keep on coming. This will also build the trust you need to build before anyone starts to make decisions based on your recommendations. Target specific visitors to promote specific products, Don’t sell a toolbox to a 10-year-old kid, Sell lollipops!. Use Affiliate banner targeting feature of plugins like WPAdvanced Ads to target and sell similar products to the relating audience. In the end, choose your affiliate programs wisely. These were my most simple way you can imitate and start making more money. Affiliate marketing is not a quick way to get rich but when done smartly, it can make you leave your job too! I agree with your points. Building an email list is probably the best thing you can do for your blog. Not only you get a loyal audience base, you get opportunities to convert them and sell multiple products.